The Cal Baptist men’s basketball team will take on Azusa Pacific in the PacWest Conference semifinals on Friday at 5pm at the Events Center. 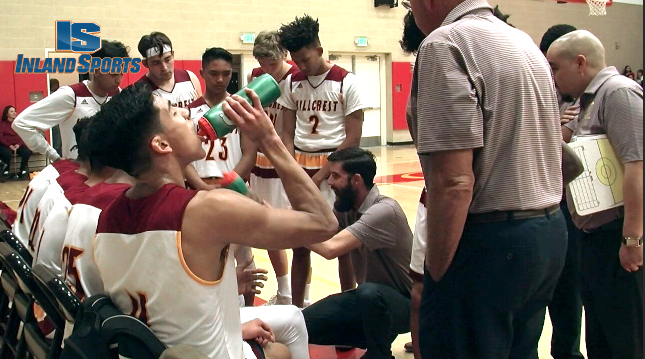 With four Riverside teams playing for CIF Southern Section titles and the PacWest Tournament coming to Cal Baptist, it’s a HUGE week for local hoops. The Philadelphia Union selected Cal Baptist forward Aidan Apodaca in the 3rd Round (55th overall) in the Major League Soccer Draft. 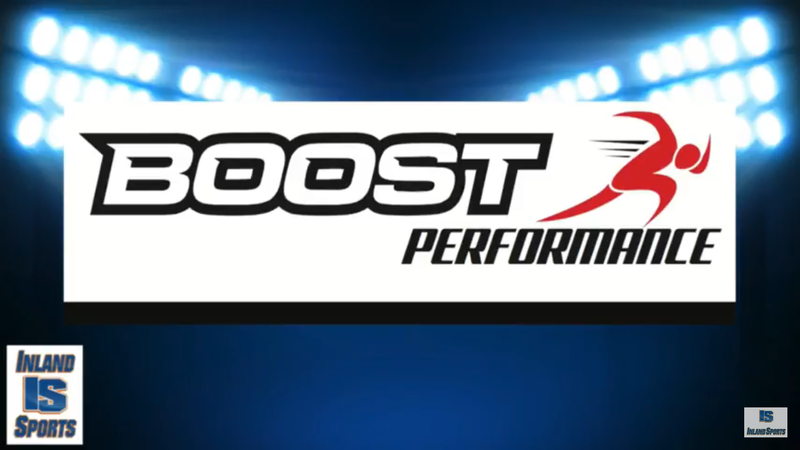 Apodaca is the first Lancer to be picked in the MLS Draft. 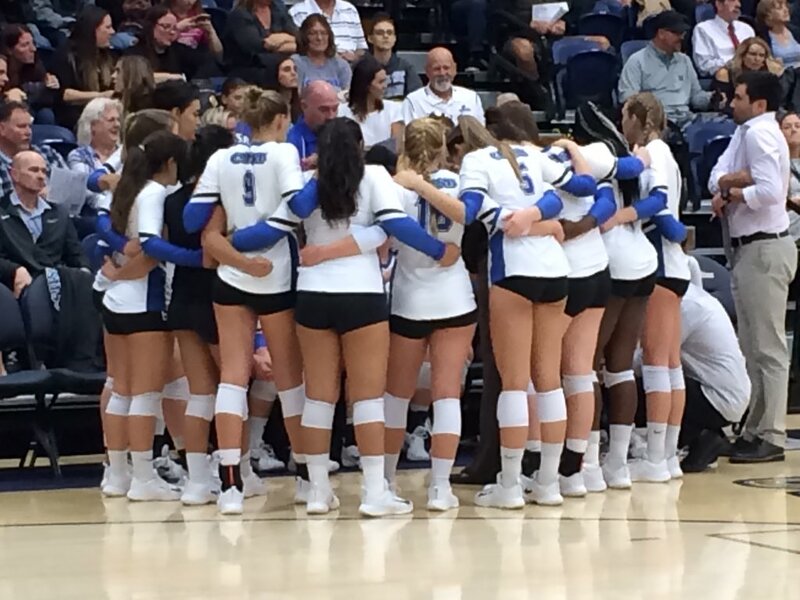 The Cal State San Bernardino volleyball team edged Azusa Pacific 3-2 at the NCAA Division II West Regional on Thursday. The Coyotes will now take on host Cal Baptist after the Lancers needed five sets to take down Sonoma State. Click on the link below for a recap on the CSUSB win! 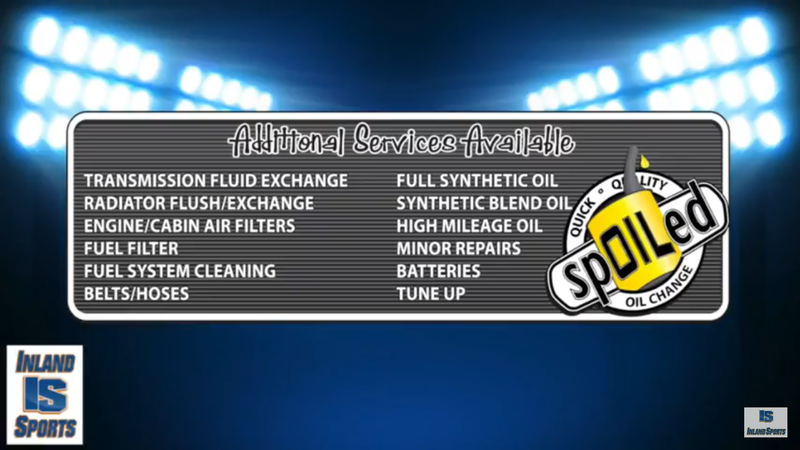 Pep Fernandez sizes up the CIF Southern Section football championship games and breaks down the semifinal contests. We’ll be joined LIVE by Rancho Verde head coach Jeff Steinberg after the Mustangs defeated Charter Oak 41-22 to reach the CIF-SS Division 3 Finals. Plus, we’ll be joined by Cal Baptist volleyball coach Branden Higa as the #1 Lancers (28-0) will host the NCAA Division II West Regional this week. 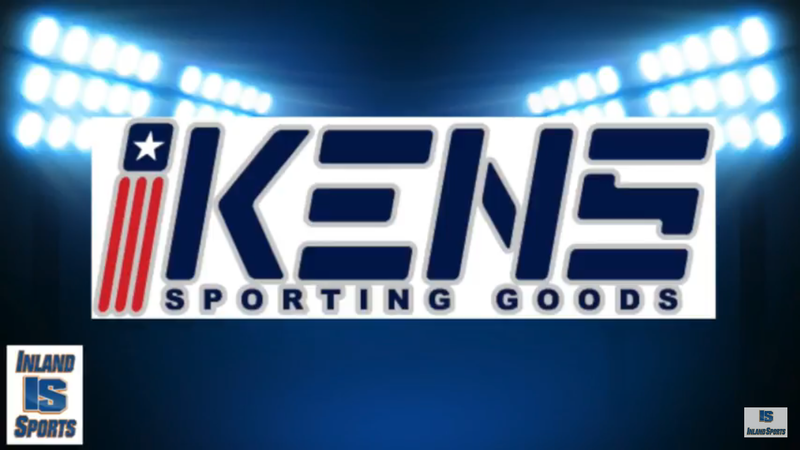 We’ll also have a LIVE report from the Michigan vs. Ohio State football game from Geoff Gorham who is in Ann Arbor with the UC Riverside men’s basketball team. 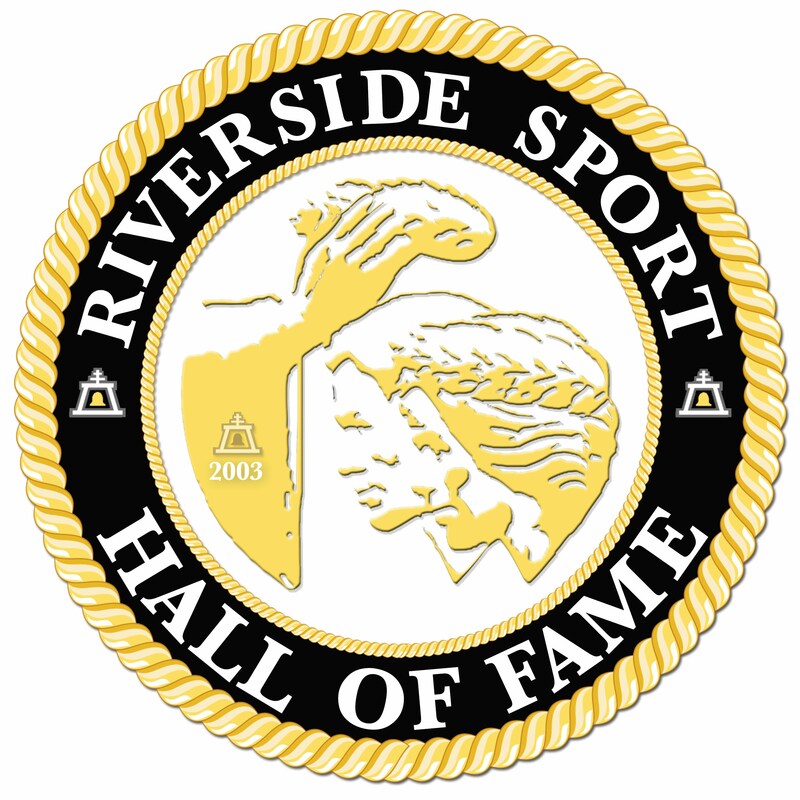 And don’t miss our Marines Riverside Recruiting Station Riverside Athlete of the Week! 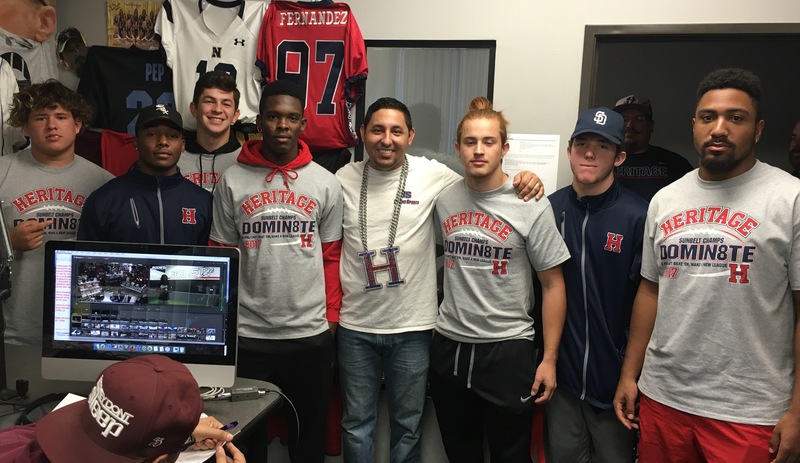 The Heritage Patriots joined us in studio to talk about their playoff win vs. La Mirada and to preview Calabasas in the quarterfinals of the CIF Southern Section Division 2 playoffs. Plus, Cal Baptist head men’s basketball coach Rick Croy talking about the Lancers first win inside the new Events Center. And our Marines Recruiting Station Riverside Athlete of the Week: Murrieta Valley WR Marquis Spiker.